Music has been used as a healing force for centuries. Its beauty, power and personal relevance has made it a wonderful instrument for the wellness and rehabilitation of individuals with disabilities. We have learned first-hand from experience, the truth in this statement. Daniel’s Music Foundation (DMF) is a non-profit organization, founded in 2006, to empower individuals with developmental and physical disabilities by combining music programs with community and socialization. For over 12 years, we have been using the transformative power of music to create a community that is built on understanding, mutual respect and appreciation. For us, the focus has always been on having the individuals we serve, feel accepted within our community, as well as the greater community at large. We invite you to explore our website to learn more about our mission, our programs and the DMF Community. Thank you for stopping by. Daniel is the co-founder of and inspiration for Daniel’s Music Foundation and along with his family, is actively involved in all areas of the organization. He is the man responsible for naming our key performance indicator, the “smile-o-meter,” which focuses on the changes in attitudes and outlook reported by our members - a measure we take very seriously. But most importantly, he is the life force that drives DMF and serves as the ambassador for our mission - a living example of acceptance, kindness and joy. In 1997, at the age of 12, one of five aneurysms burst inside his brain. His doctors did not expect him to survive, but he proved them wrong. Music in various forms played a critical role in every phase of his recovery. From the songs that kept him connected to reality during his coma, to the keyboard playing that helped him regain his motor skills; and even the music history class he took that ultimately inspired him to help others. Most importantly, it was music that maintained his connection to the people around him – and to the very essence of life. This life altering experience was the inspiration for DMF. 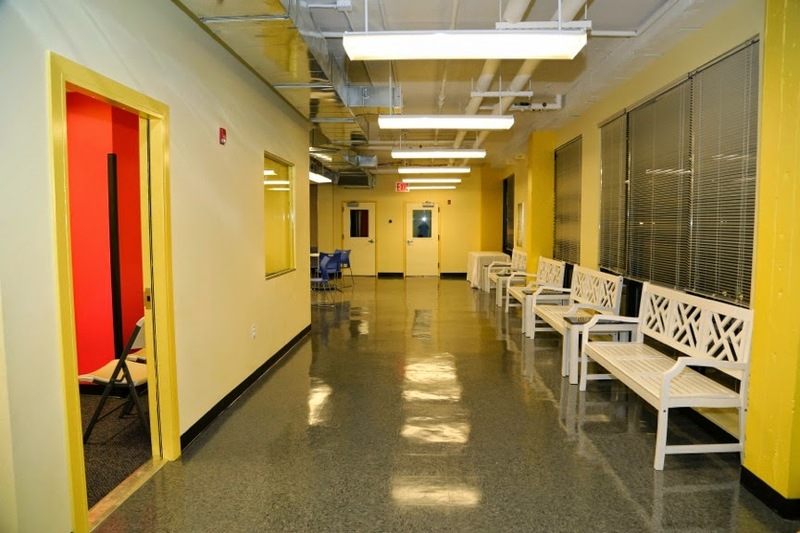 Our state-of-the-art, custom built music center located in East Harlem is where we call home. 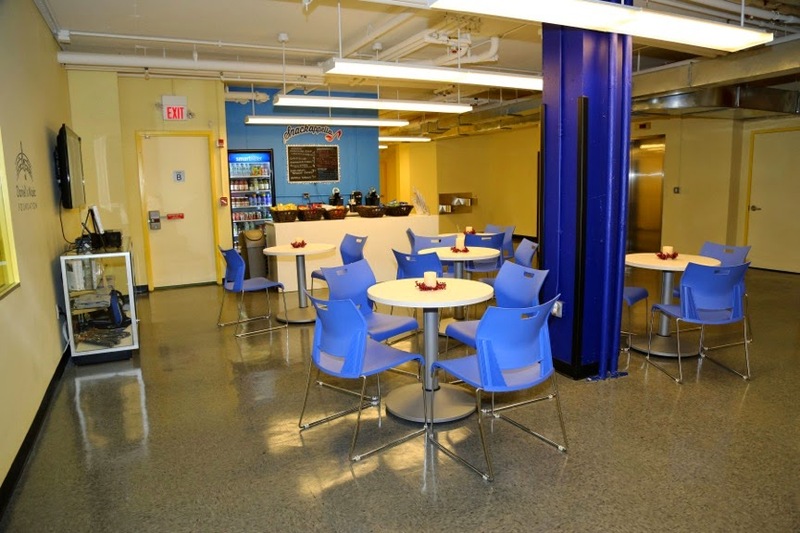 This modern, brightly lit, 8,700 square foot barrier-free facility houses 5 music studios, a recording studio and sound booth, and a fun cafe serving up snacks and beverages, appropriately named Snackappella. There is a private entrance and lobby with its own elevator. But what is most compelling is when our members arrive and bring our center to life with the magic of music.